As you read this, a nondescript Prius is logging mile after mile on highways across California. As you read this, a nondescript Prius is logging mile after mile on highways across California. And while it looks and travels like any other car, there is a key difference: it is without a driver. Our brightest minds and deepest coffers are relentlessly pursuing the dream of self-driving cars. Google has clocked upwards of 1.5 million self-driven car miles. Autonomous vehicle technology was a constant theme of the 2017 Detroit auto show, which included test drives of self-driven vehicles and introduced the VW autonomous minivan of the future. It is only a matter of time before the technology becomes ready for mass adoption. How will self-driving cars reshape the physical form of our cities? While it is impossible to answer exactly how, we know that it will. What is imperative is that we begin the discussion, to try to gain a better understanding of the impact of self-driving cars on the built environment. It is only through asking these tough questions that we can prevent a second wave of suburban sprawl, and avoid the mistakes of recent history. Technology and Car Companies are Looking to Determine the Ideal Environments for their Self-Driving Vehicles. 1. What impact will self driving cars have on the scale of our cities? Many people are genuinely excited by the potential of self-driving cars to make our cities more livable and sustainable. For example, by consolidating parking, they can promote compact development in urban cores, allowing excess parking to be used for new urban infill and even augmenting transit operations. On the flip side, the less burdensome and more productive commuting times of self-driving cars might further expand the sprawling footprint of our suburbs. There is a cost benefit analysis here that we must consider. Is it worth creating individual utopias in the hinterlands at the expense of both our healthy urban centers and the environment? The way we direct self-driving car technology will radically impact the form, functioning and resilience of our cities. 2. Will self driving cars operate within existing cities or create completely new city forms? Cities are old and messy. Most American cities were conceived before the car was invented. These seemingly chaotic environments are tough for machine guided navigation. Can self- driving cars be deployed to navigate the bustling streets of our existing cities efficiently, or will they sponsor completely new city forms? Will they improve the quality of city life in LA and D.C. or will they become the rationale for entirely new “Smart Cities,” built on a clean slate? In a relatively low density country with a considerable amount of undeveloped land, starting over from scratch is not unfathomable. But is it the right way to live in the future? In the not too distant past, we jettisoned our cities for the suburbs, and failed to create healthy, vibrant communities. We have seen the environmental, fiscal and social costs of an auto-oriented lifestyle, and are still trying to discover how to rectify that mistake. 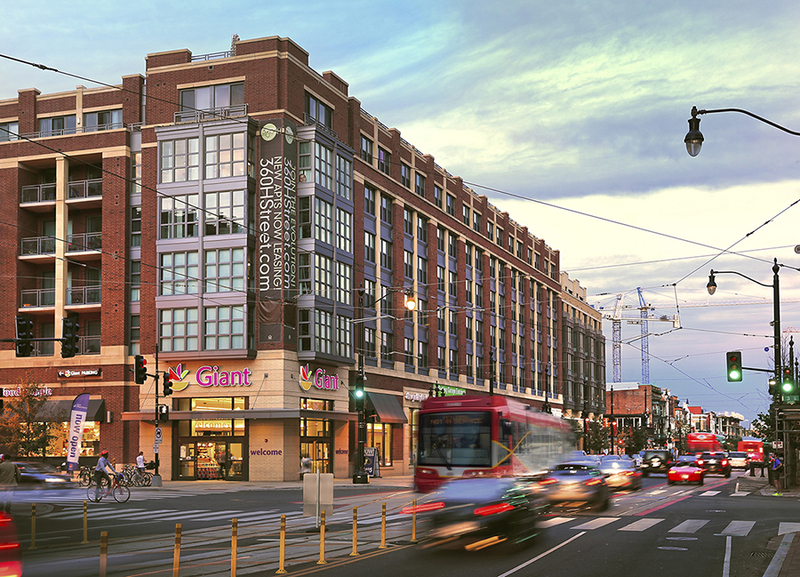 Kenyon Square, Columbia Heights, Washington, DC - Can Self-Driving Carts Work Well within Walkable Urban Places or will they Mandate Completely New City Forms? 3. 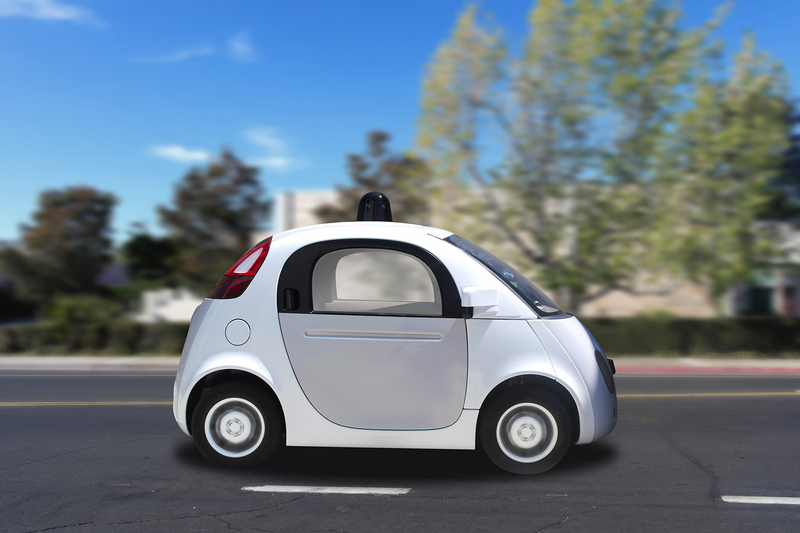 How will self driving cars operate within our cities for the next twenty years? This is the most critical conversation today. Many of the benefits touted of self-driving cars, like the increased capacity of roads and zero accidents, rely on a future where everyone opts into traveling in self-driving cars. This will require not only a technological, but also a societal sea change. We can be certain that the immediate future is a mixed mode scenario. What are the opportunities for innovation that architecture and planning can create in this environment? Every functional aspect of our cities will be impacted by self-driving cars. 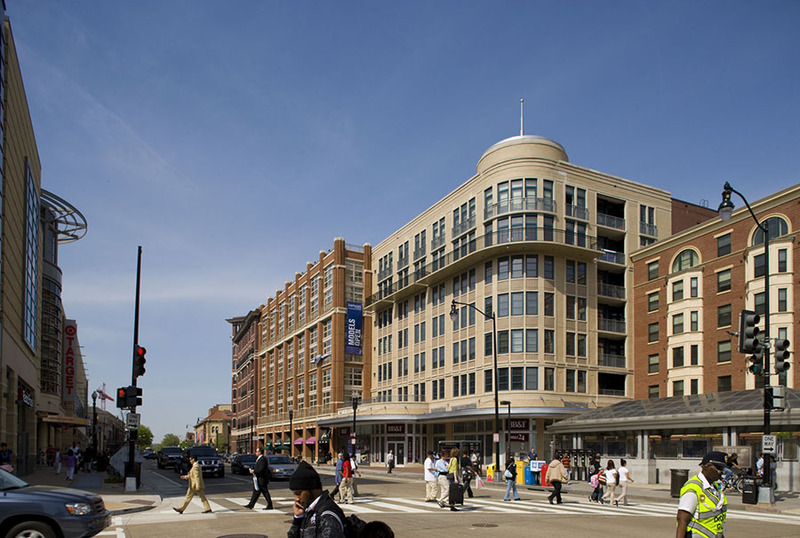 What are the incremental improvements we should make to planning standards, zoning regulations and building types? And what can we do to ensure that the city of the future is a beautiful place to live that allows and integrates all modes of travel, from self-driving cars to walking, biking, and public transit in all its forms? Over the coming months, we will be exploring these questions, attempting to assess and evaluate what impact self-driving cars are having on our communities. At stake is not just the built form of American towns and cities, but also the model of urban development that will likely become the global standard for the city of the future.